A French police officer has been stabbed by a man shouting that he was “sick of France” in an attack in Toulouse. The victim was working at Rempart Saint-Etienne station on Tuesday afternoon when the assailant entered to lodge a complaint about a stolen mobile phone. The man left after being told the theft could not be registered without the phone’s serial number but returned 20 minutes later armed with a kitchen knife, La Depeche Du Midi reported. Without warning, he attacked a male police officer from behind, trying to grab his gun before stabbing him in the neck. 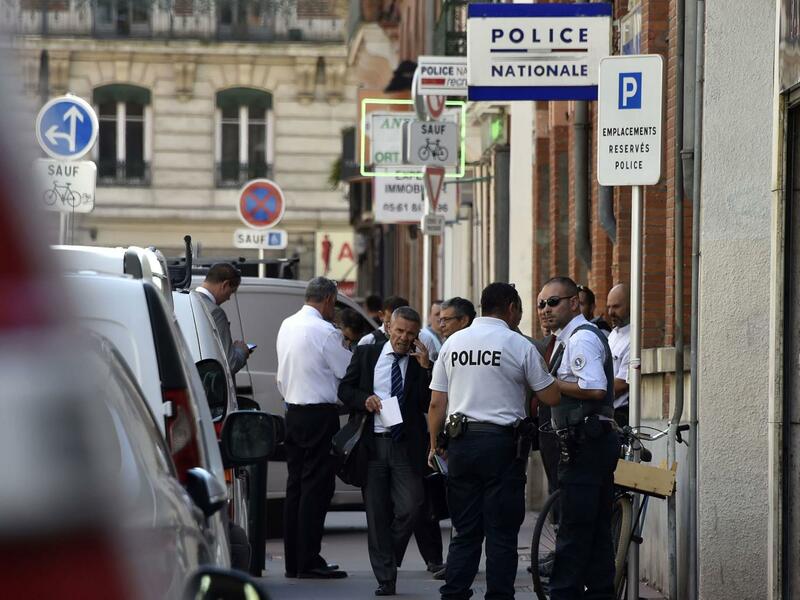 Local reports identified the arrested man as Abderrahmane Amara, a 31-year-old Algerian, although his name has not been released by French authorities. He was taken into custody as the police officer was treated in hospital for neck wounds. Pierre-Yves Couilleau, the prosecutor for Tolouse, told a press conference the victim needed stitches but did not suffer life-threatening injuries. He said the perpetrator had undergone several stays in a psychiatric hospital before being released in February. “He is not on the Fiche S [terror watch list] and prosecutors have charged him with the attempted murder of a person holding public authority…there was no claim of any nature whatsoever,” Mr Couilleau added, responding to questions over possible declarations of support of Isis made by other recent attackers in France. He confirmed the attacker declared he was “sick of France” but said his motives were under investigation. 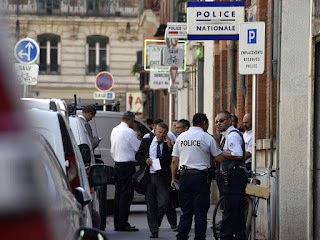 The suspect was already known to police over graffiti on the walls of a police station in Toulouse calling former President Nicolas Sarkozy and the DCRI intelligence agency “terrorists” in 2013, and throwing Molotov cocktails towards police and a synagogue at a pro-Palestinian demonstration the following year. Bernard Cazeneuve, the French interior minister, sent his condolences to the injured police officer, his relatives and colleagues. “The prosecutor will address the specific circumstances of the attack and the motivations of the perpetrator,” a statement from the interior ministry said. Tuesday’s attack was the latest in a series of stabbings in France, including the attempted murder of a Jewish man in Strasbourg earlier this month. Assailants have pledged allegiance to Isis in several cases, including the murder of a police officer and his wife in June. France has been rocked by a series of terror attacks, starting with the massacres at Charlie Hebdo’s offices and a Kosher supermarket in January last year and followed up by November’s Paris attacks. An Isis supporter driving a lorry killed 86 people celebrating Bastille Day in Nice in July, and two teenage jihadists murdered a Catholic priest after storming a church in Normandy weeks later. The assaults have increased pressure on the French security services while reigniting national debates on immigration, integration and secularism.